Nora Verbo, resident of Brgy. Pawa in Panay Capiz, usually wakes up at 5 o’clock in the morning to prepare for her family’s breakfast, especially for her two kids who are en route to school. After finishing her usual household chores, Verbo meets up with the other housewives in their community who belongs to the Pawa Homeowner’s Association (HOA)to start another daily routine— not the usual chitchat or doing aerobics or zumba, but managing house construction. Yes, house construction. 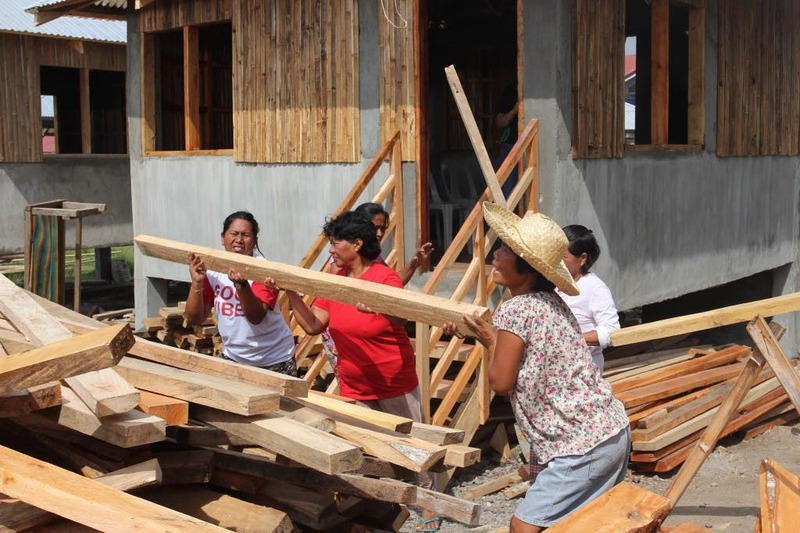 Since December 2014, helping and assisting in the rebuilding of their Yolanda-damaged houses have become a normal activity of some of the women in Pawa. These women usually take care of the newly-delivered construction materials, manually carrying the good lumbers like plates to their storage room. They act as foremen, meticulously making sure that the construction is quality standard compliant. They also administer the sale of other construction materials like nails, G.I. and PVC pipes and some roofing materials. 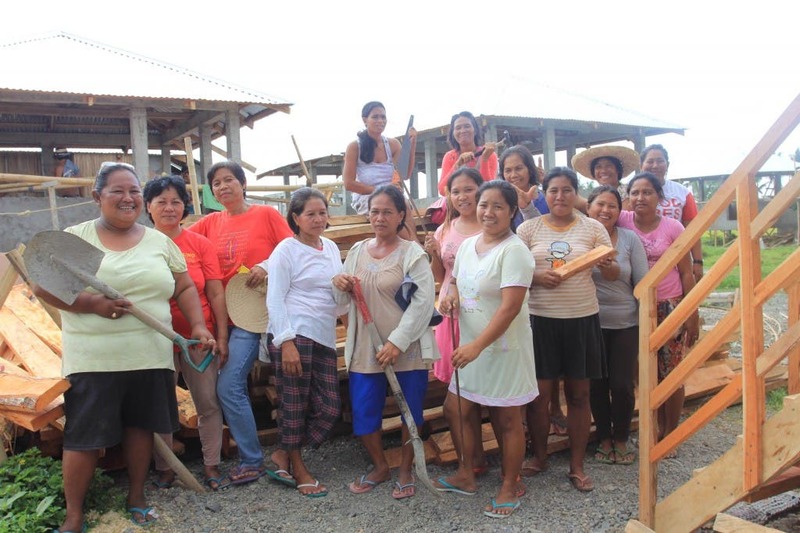 There were also some instances wherein these women transcend administrative tasks and do carpentry work. The community takes the rebuilding effort seriously because they regard it as one rare opportunity they shouldn’t waste, being one of the beneficiaries of the Post-Yolanda Support for Safer Homes and Settlements program of the Social Housing Finance Corporation (SHFC) in partnership with the UN Habitat. “Most of the men in our community are fishermen so they can’t really focus on the construction of our houses. And since we want the whole construction thing to be completed on time, we women have decided to involve ourselves,” Verbo said. Pawa HOA is currently in the process of acquiring their land through SHFC’s Community Mortgage Program (CMP). CMP is a financing system which supports a community-driven approach and people’s plan and enables legally-organized Informal Settler Families (ISFs) to own the land they occupy or the land where they chose to be relocated. Because of this, Pawa HOA wa schosen to be one of the 27 community associations in Capiz that will be given monetary grant by the UN Habitat to be used for their house reconstruction. “With the tight timeframe that we have, it is really important that land acquisition will not cause any delay in our rebuilding efforts. And because of the SHFC, we have found the perfect beneficiaries for this project,” said Elvira Duka, Community Mobilization and Training Officer of the UN Habitat. Duka also added that through SHFC’s help, some processes like securing permits, were expedited, giving enough time for the communities to rebuild. SHFC’s projects are community-driven, something that UN Habitat is also advocating because it enables and empowers the community to have a say in their housing needs. Community-driven housing is also 30% cheaper than the usual house construction process because it utilizes the resources of the community, most especially its manpower. In order to successfully implement the community-driven housing in Pawa, SHFC and UN Habitat provided trainings and technical support to the community such as financial and construction management. Pawa HOA and other beneficiaries were able to save a lot of money through community-driven housing, which paved way for the construction of 50 more houses. Pawa is also set to build its own multi-purpose hall.Other community associations, meanwhile, utilized the saved money in the improvement of their drainage system and roads. “Before, we are so easy to please. We were satisfied with whatever material we use to build our houses. But now, we are very keen up to the smallest details. We feel blessed because we were able to learn these important things,” Verbo said. It has also relived the Filipino culture “bayanihan” in Pawa. Some villagers noted that because of the housing project, they became closer and united in achieving their goals. The construction of the 660 houses in Roxas City, including the 75 houses in Pawa, is expected to be completed by the first week of May. 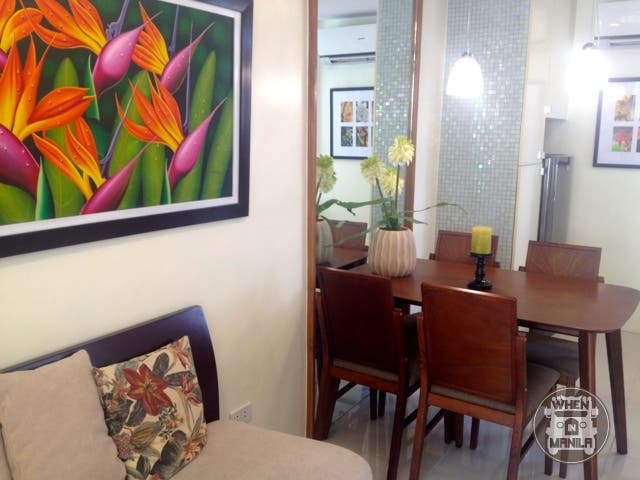 Aside from the Pawa HOA, the Belle Village III HOA in Brgy. Guba, Pontevedra, Capiz is also a beneficiary of the SHFC-UN Habitat housing project. The houses of the members of the Belle Village HOA were already turned over last December 2014. One of the beneficiaries of this housing projects is the family of Hazel Joy Carpio. The sun shines brightly on that Friday morning in the humble community of Belle Village HOA, Carpio and her daughter seemed to unmind it at all. Carpio sits comfortably next to her daughter in the living area of their well-ventilated house made up of cement and bamboo, as she assists her in doing her school work. And even if it will rain on that hot Friday morning, Carpio would still not fear for their safety, knowing that their house was designed to withstand strong winds with a speed of 200-230 km/hour. The houses were specifically designed to be disaster-resilient. Houses built near the coastal areas were given stilt for flood protection. The four-sided roof has a wooden bind supporting the hip and common rafters, ensuring further structural integrity. In fact, some of these houses were used as evacuation centers during the wrath of typhoon Ruby in the Visayas region last December. “For the first time in our lives, we were not scared. We are used to putting up a container inside our rented house to catch the raindrops penetrating our broken roof. But now, it’s a different story,” said Carpio. Because of these houses, they easily let go of their traumatic Yolanda experience. 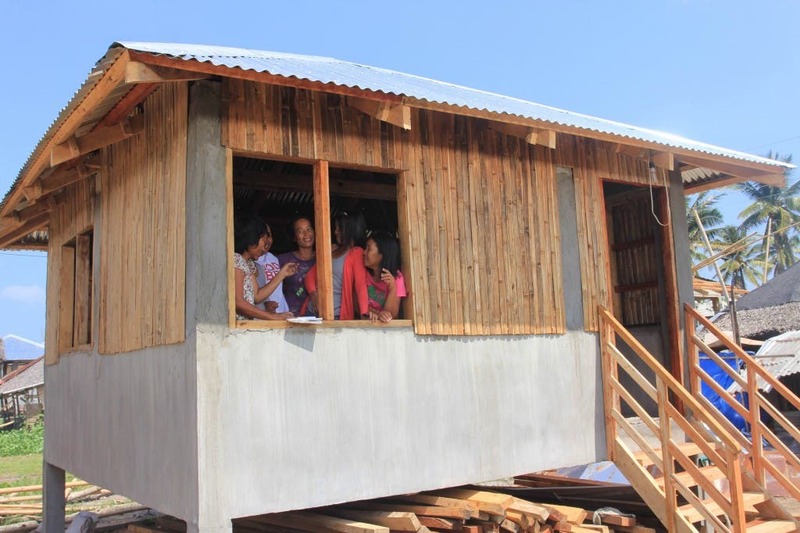 Knowing that their houses are safer, Carpio and other members of the Belle Village HOA can now focus on improving the designs of their houses which have enough space for expansion. Carpio has worked harder to fund the construction of their dining room. Now, her house is fully furnished and her mini garden, landscaped. “Because of CMP and SHFC, we were motivated to work harder. We learned how to save money for the future, so now that we have our own home, we’ll make sure that we’ll work harder,” Carpio quipped. Some of the members of the Belle Village HOA put up their own small businesses to generate income which can aid in paying their monthly amortization to SHFC. Through the community-driven housing, the people were given not only houses, but also the confidence and empowerment to decide for the good of their own families and entire community. All the good things that’s happening in Capiz will not materialize if not for the initiative of the community, supported by a strong public and private partnership. With all the lessons, built capacities and rich experience that the Capizenos have gained from the entire experience of the community-driven housing, indeed, no strong calamity can ever break or shake their communities apart. Sing, Dance, Act this Summer — Enrollment for Trumpets Playshop 2016 Now Open!